There was fighting here under the Ottoman Empire: in 1606 the army of General Kuyucu Murat Pasha suppressed the Jelali revolts. 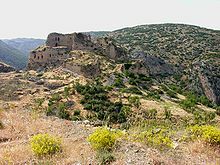 The Ottomans continued to fortify the city, and the remains of the early 17th-century Ottoman castle walls can still be seen where the Güzün stream crosses the Varyant road. The city was well described in 1675 by the English naval chaplain Henry Teonge in his diary. The next army to cross the Belen Pass and attack Anatolia through here were the Egyptians of Muhammad Ali in 1832. However, in the later Ottoman period the city developed as the main port on the Mediterranean for the overland trade from Baghdad andIndia, which had great importance until the establishment of the Egyptian overland route. Iskenderun served as a base, first for Genoese and Venetian merchants, then Western and Northern European merchants. The British Levant Company maintained an agency and factory here for 200 years, until 1825, in spite of high mortality among its employees because of regional disease, some due to lack of sanitation systems. During the 19th century the port grew, and the road to Aleppo was improved. The railway was built in 1912. At the outset of World War I, when Britain was contemplating the partition of the Ottoman Empire, Lord Kitchener considered the conquest of Alexandretta to be essential in providing Britain with a port and railhead from which to access Iraq. He proposed a new railway be built to the east from Alexandretta, which would greatly reduce the time for reaching India from the UK. The De Bunsen Committee (8 April - 30 June 1915), a British inter-departmental group which was set up to discuss the issue in greater detail, preferred Haifa for this purpose. "Perhaps not the whole course of the war, but certainly the fate of our Ottoman Ally, could have been settled out of hand, if England had secured a decision in that region, or even seriously attempted it. Possession of the country south of the Tauras [mountains] would have been lost to Turkey at a blow if the English had succeeded in landing at Alexandretta". Following the collapse of the Ottoman Empire at the end of the First World War, most of Hatay including İskenderun was occupied by French troops. Between 1921 and 1937, the city was part of the autonomous Sanjak of Alexandretta within French-controlled Syria, under the League of Nations French Mandate of Syria and the Lebanon. The Republic of Hatay was founded. In 1939, it joined with the Republic of Turkey after a referendum. The referendum was, and still is, regarded as illegitimate by Syria. There was evidence that the Turks moved supporters into the city. In addition, before the referendum, the Turkish army "expelled most of the province's Alawite Arabs and Armenian majority." Yakacık (Payas) contains a splendid example of Ottoman architecture dating to the 16th century: the külliye of Sokollu Mehmet Pasha comprising a mosque, Turkish bath (hamam), Dervish lodge, bazaar, caravanserai, and madrasa (Muslim school). Soğukoluk, a mountain resort on the way to Antakya, is a quiet retreat from the heat of the coast in the summer months. Arsuz (Uluçınar), a holiday resort town on the coast to the south of İskenderun, has beautiful sandy beaches, a very warm sea, and places of historical interest. The coast is lined with holiday homes and there is accommodation in hotels or guest houses. İskenderun is featured in the film Indiana Jones and the Last Crusade as an important starting point for the Grail map. The State of Hatay is depicted as being ruled by a Sultan, although it was technically a transitional republic.